Finalist for the Man Booker Prize Everything about this novel rings true . . . Original, funny, disarmingly oblique and unique. --The Guardian In an unnamed city, middle sister stands out for the wrong reasons. She reads while walking, for one. And she has been taking French night classes downtown. So when a local paramilitary named Milkman begins pursuing her, she suddenly becomes interesting, the last thing she ever wanted to be. Despite middle sister's attempts to avoid him--and to keep her mother from finding out about her maybe-boyfriend--rumors spread and the threat of violence lingers. 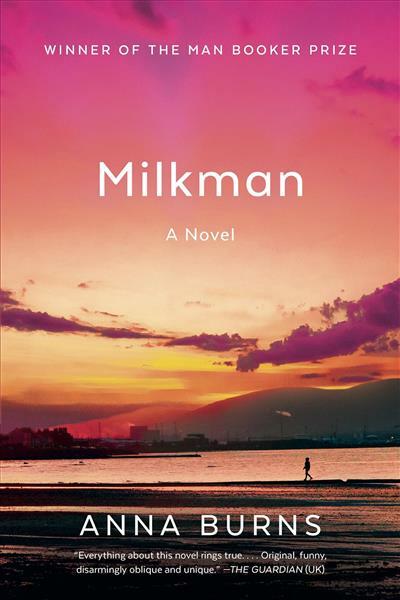 Milkman is a story of the way inaction can have enormous repercussions, in a time when the wrong flag, wrong religion, or even a sunset can be subversive. 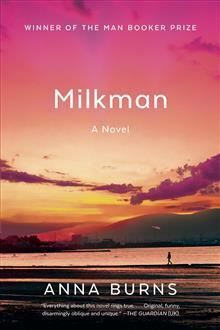 Told with ferocious energy and sly, wicked humor, Milkman establishes Anna Burns as one of the most consequential voices of our day.